Emla-Laser is the one place where people, companies and corporations de-stress, bond and have fun. Twenty years ago Markus and a group of fun loving, adventure seekers with a passion for adrenalin-filled, yet family combat decided to start their small indoor paintball hall. The medium- sized hall has grown tremendously from only one playing fields to a huge collaboration of twisting fields, forts, cars, helicopters, tanks, obstacles and battlefield landscapes. As former corporate individuals coming from backgrounds like attorneys, civil engineers, game developers and others, they used their combined skills to develop specialized laser tag games you would otherwise play on your game board. What is better than your favourite “Black Hawk Down” or Enemy Invasion” missions portrayed in real-life actions instead of behind a TV monitor. 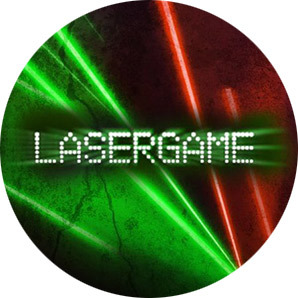 Disable battle tanks, attack futuristic forts and rescue crashed pilots from planes or helicopters together with your team during our authentic laser tag games. Offering both indoor and outdoor gaming, with laser tag growing in popularity world-wide this is where friendships are built and bonds formed. As the ideal party and corporate events venue all ages we offer games and team building second to none. Our aim is to tailor each day to suit your needs and offer specialized team building and corporate events packages tailored to suit the company and office. Emla-Laser has more than twenty playing fields, with Paintball fields and dedicated laser tag fields. Our facilities cater for large groups and parties with ample parking facilities and two bus pick-up points from London to our premises. With three conference rooms, Wi-Fi connections and seating space for buffet lunches and dinners we exceed any expectation to make your day memorable. Our weapons which we rent to players make any inner fantasies come to life with realistic replicas of excellent weapons in various models. 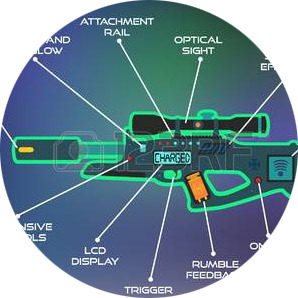 Keeping in mind that you are firing harmless infrared beams you have a selections of sniper rifles, assault rifles or pistols for perfect shots. Our staff offer both personalized and professional service with personal touch and attention to the finer details of entertainment. We love sharing our passion for life and having fun with everybody coming to our facilities and doing things differently is what we are known for. We are proud of being an exceptionally well-organized and safe paintball and laser tag events company with state of the art equipment, excellent game maps that includes a 35 foot zombie tower, military battlefield, star wars futuristic playing fields, jungle and much more. We are offering excellent value with no hidden costs, extras with no additional cost for lunches that we include in full day corporate events.